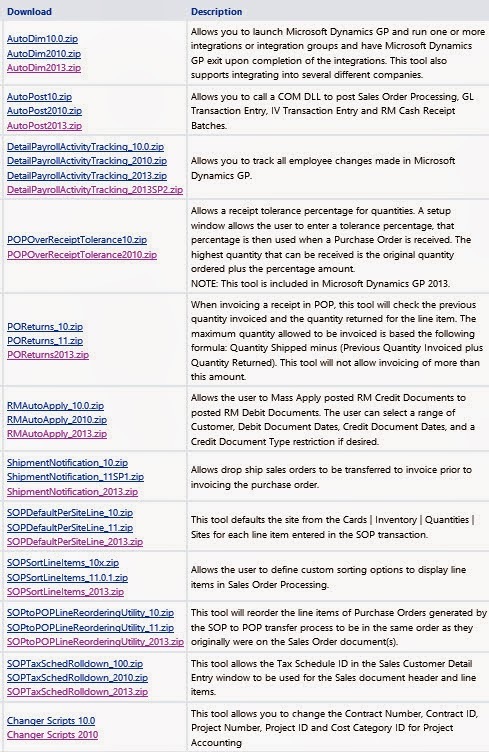 Dynamics GP Tools that you may not know about . . .
Professional Services Tools Library toolset, along with the GP versions that they apply to. server and restarting GP. Talk to your partner for more information.